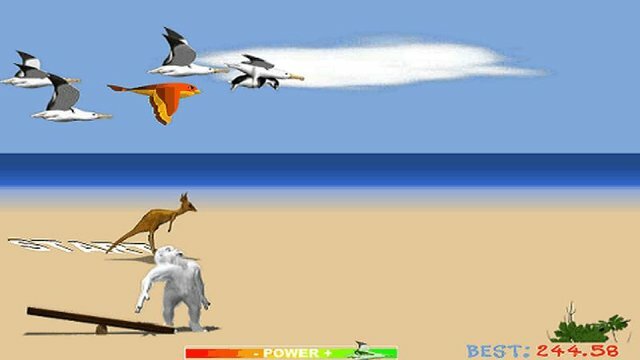 Our great big,fluffy white friend has made his way over to Australia to help an albatross carry his friend across great golden Australian beach,the snowman leaves the vast ice-scapes for the heat of Australia. The penguins are thrown upwards to the passing albatrosses,who carry them as far as possible. Hit the screen to make the penguin riding on the teeter-totter bounced up into the air. Try to make the bouncing penguin hit the bird. Touch the screen to make the albatross catching the penguin keep flying. 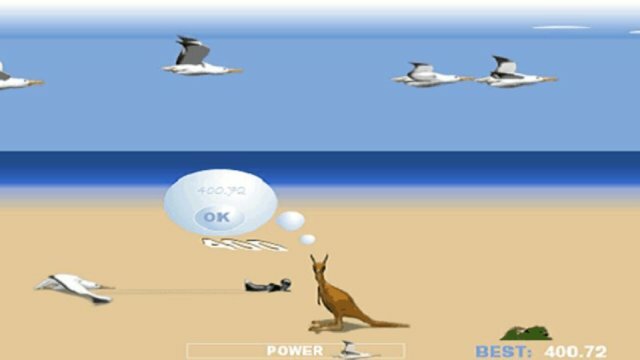 Power will be decreased as you touch the screen to keep bird flying,but it will grow again slowly.